Ladies – if you’re anything like me, you’ll understand the struggle of finding a fairly vibrant liquid eyeliner which doesn’t crumble upon initial application. 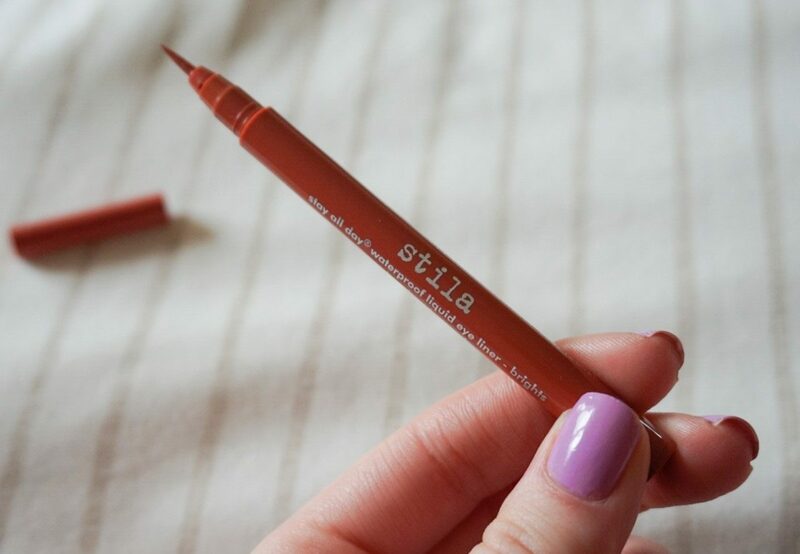 Until I discovered the Stila Cosmetics All Day Waterproof Liquid Eye Liner in ‘Amber’ – an absolute game-changer. I know, I know… it’s a strong claim to say that this is ‘the best orange liquid eyeliner’ on the market, but I challenge you to find me an alternative liner that is as long-lasting and easy-to-apply, but still manages to combine these gorgeous autumnal tones for a rich pop of colour. Stila have nailed all three elements (as per usual)! It goes without saying that application is hugely important to me – if I find an eyeliner which distributes too much product or doesn’t have a sharp enough nib, I’ll instantly give up. That’s why I’m rating this eyeliner up there beside the Kat Von D Tattoo Liner. The nib is narrow and felt-tip shaped which allows precise application; it’s firm enough to deliver that ‘stamp’ effect but soft enough for intricate details! I’d love to hear if you have any alternative orange eyeliner recommendations in the comment space below! Stila liners are amazing! And that is such a gorgeous color. I wish there was a burgundy shade in this range; I would be all over that. Regretting not picking this up now. I might have to in the near future.